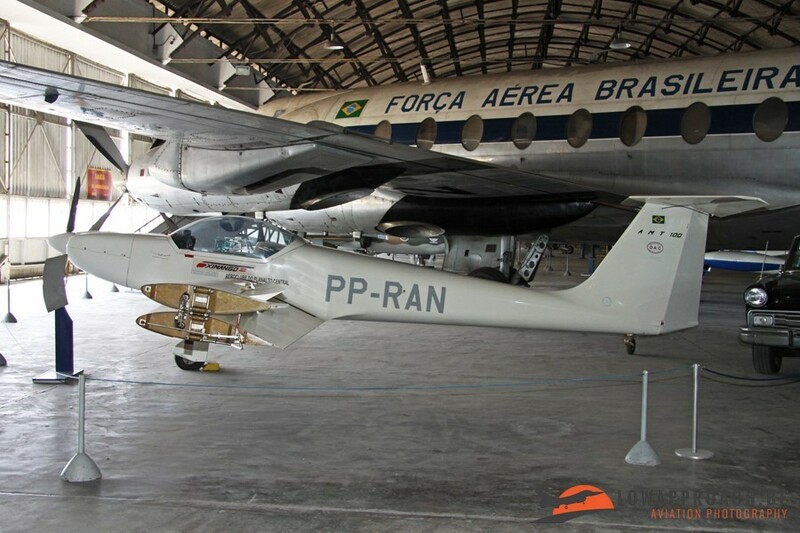 In April 2014 I was in Sao Paulo, Brazil for business and I used this opportunity to visit the Museu Aeroespacial (Brazilian Air Force Museum) at Campo dos Afonsos, Rio de Janeiro. Campo dos Afonsos is an enormous military complex situated about 20 kilometers outside of Rio and houses various military units. 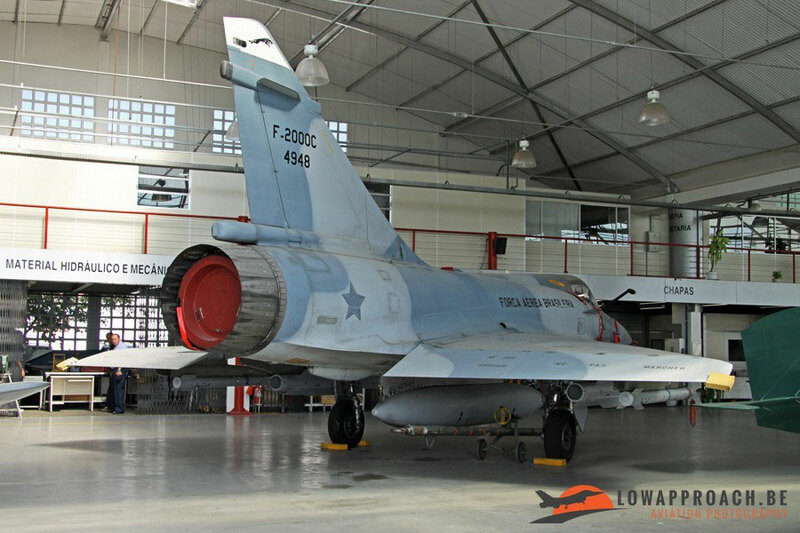 A large part of the complex is in fact the air force base where the museum is located. 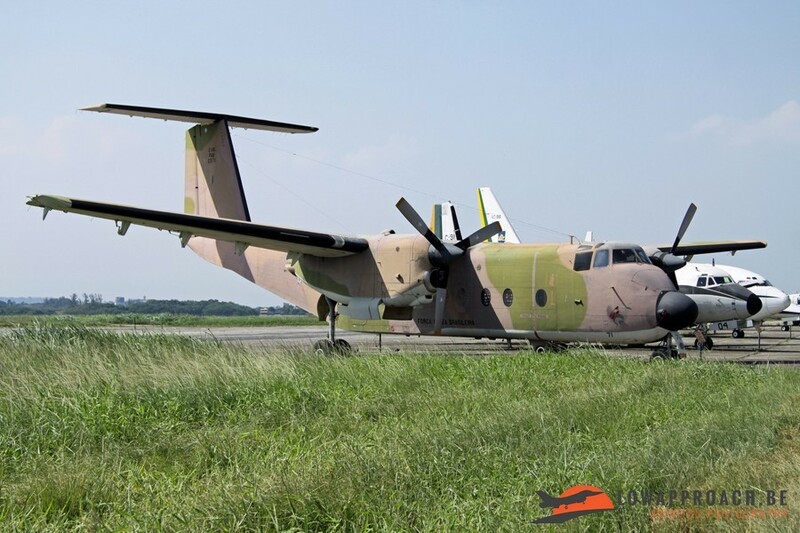 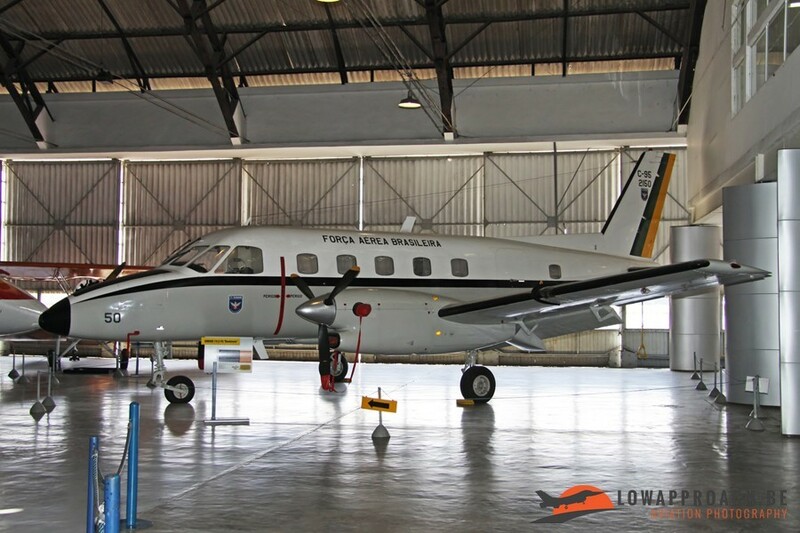 The Brazilian Air Force has been undergoing some re-organization so not a lot of flying activity is still going at Campo dos Afonsos, at this moment only a helicopter units is based here, at the time of my visit also a few Embraer Bandeirante transport aircraft were based there. 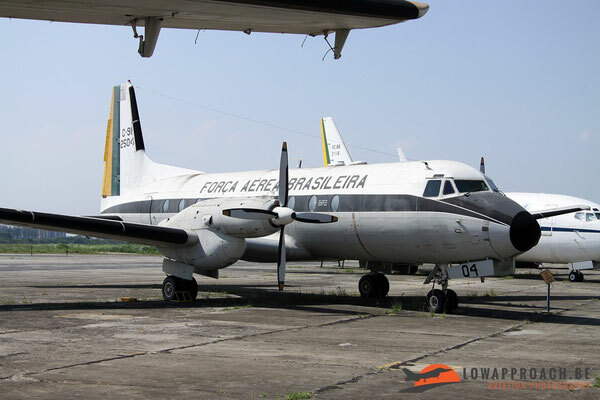 The Lockheed C130H Hercules have re-located to nearby Rio de Janeiro-Galeão a few years ago. 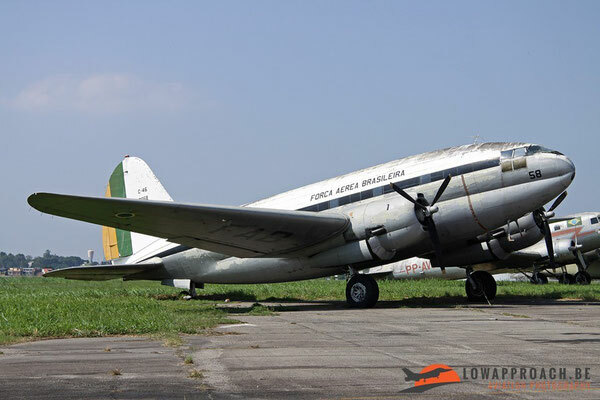 In the not so far future Campo dos Afonsos will close. 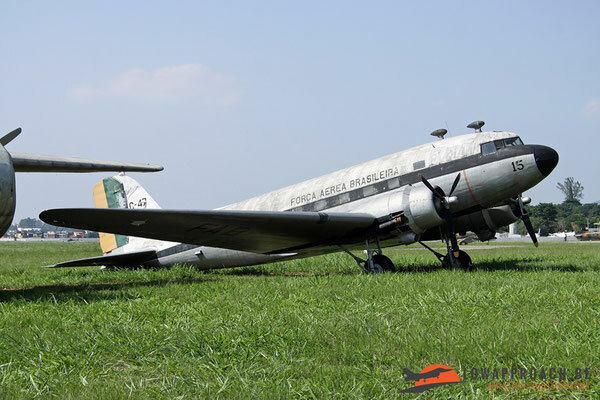 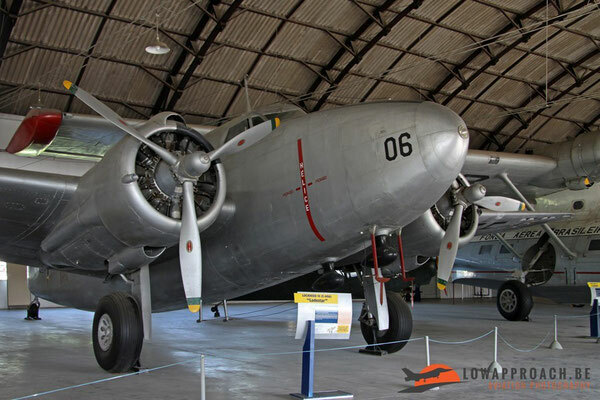 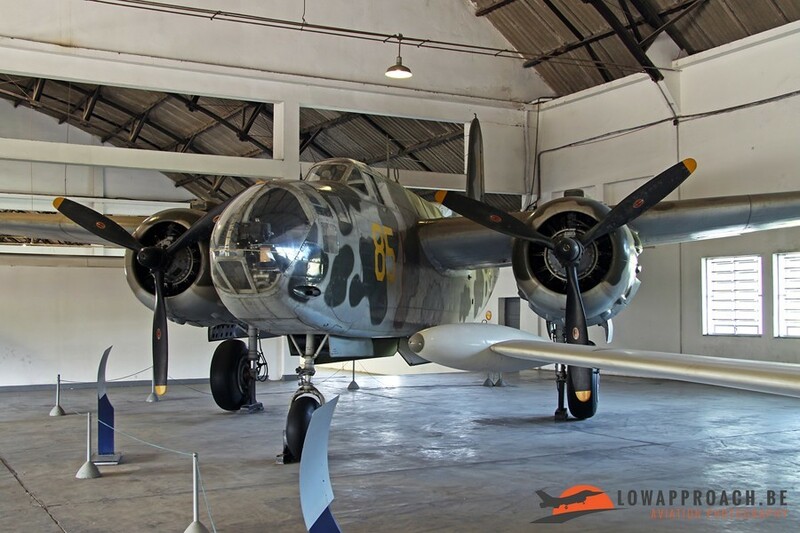 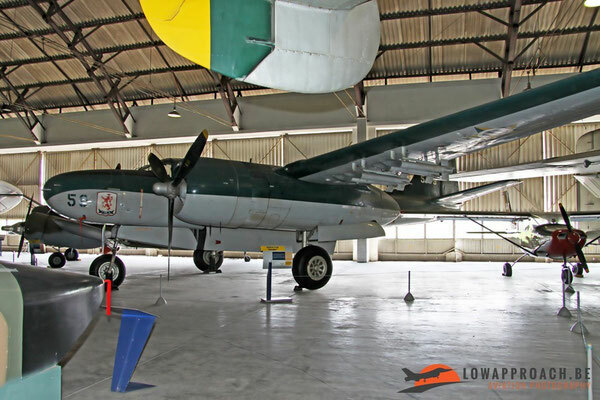 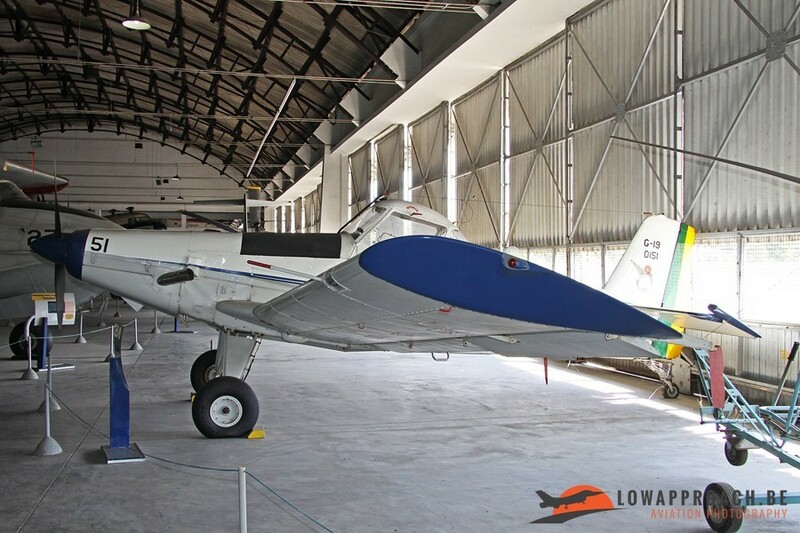 It’s no coincidence that the museum is situated at Campo dos Afonsos, as this airfield is considered the ‘cradle’ of Brazilian aviation. 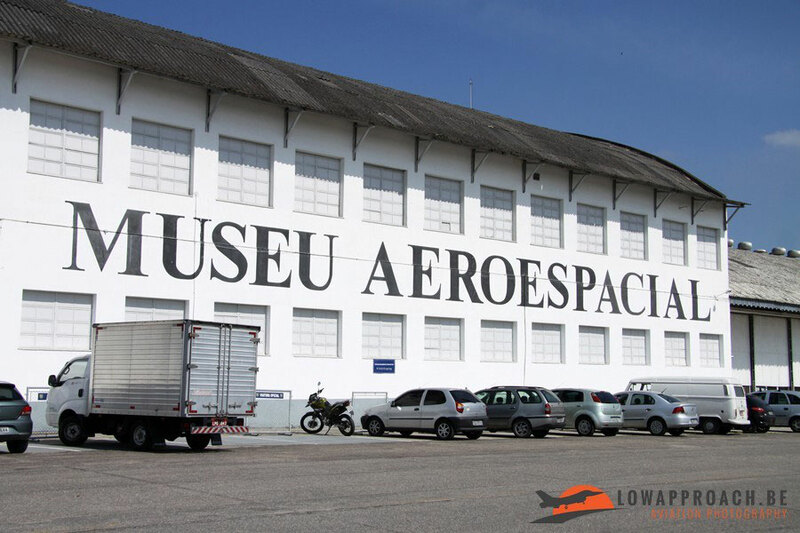 Already in 1911 the first aviation organization of Brazil, the Aero Club Brasileiro, began operating from this location. 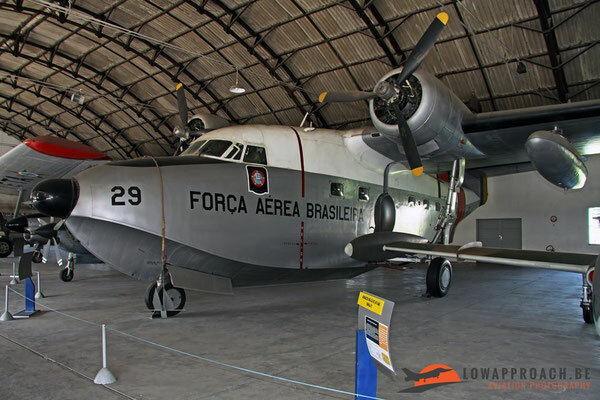 Only in 1941, with the creation of the Força Aerea Brasileira that if became an Air Force Base. 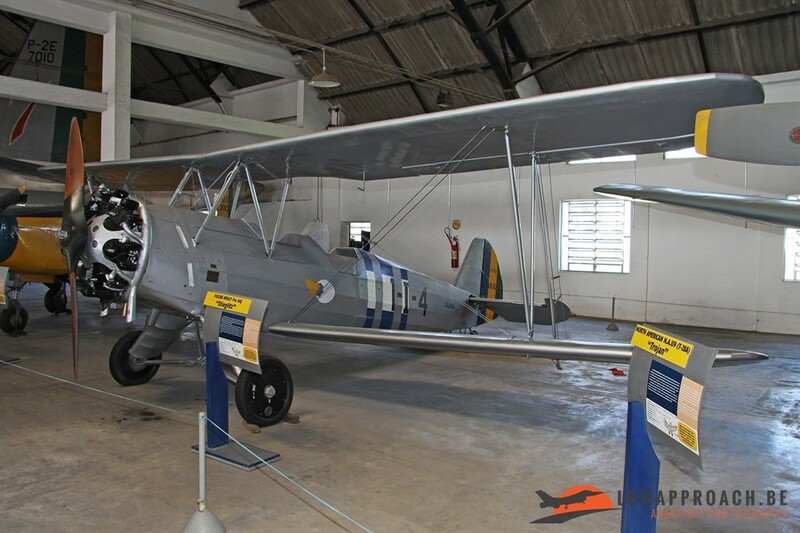 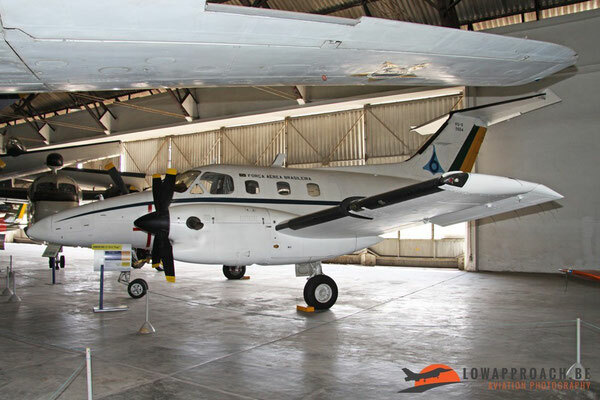 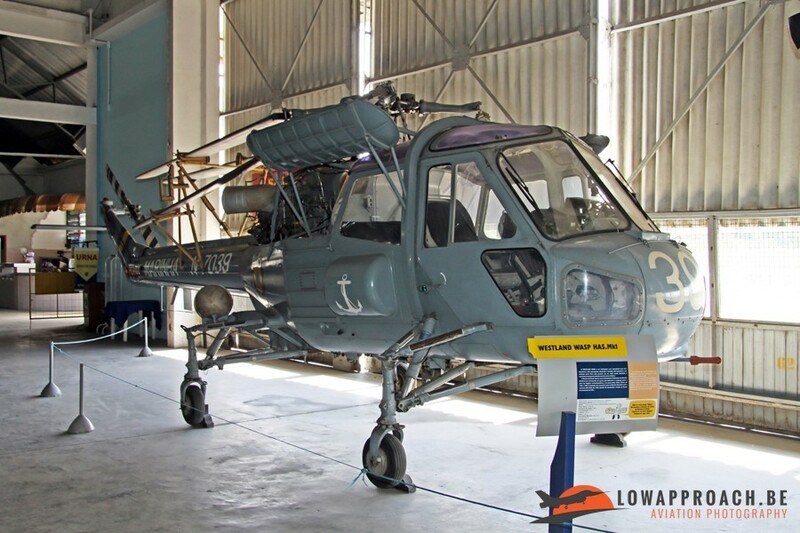 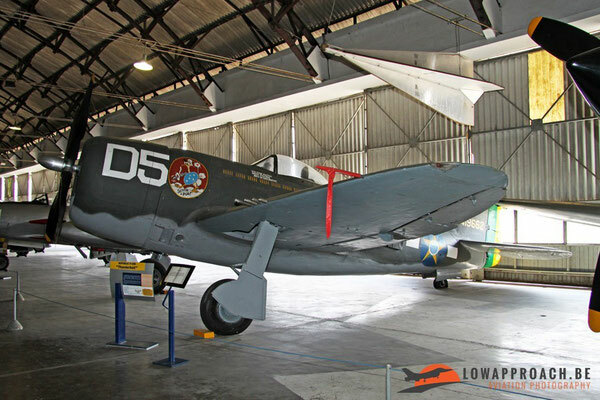 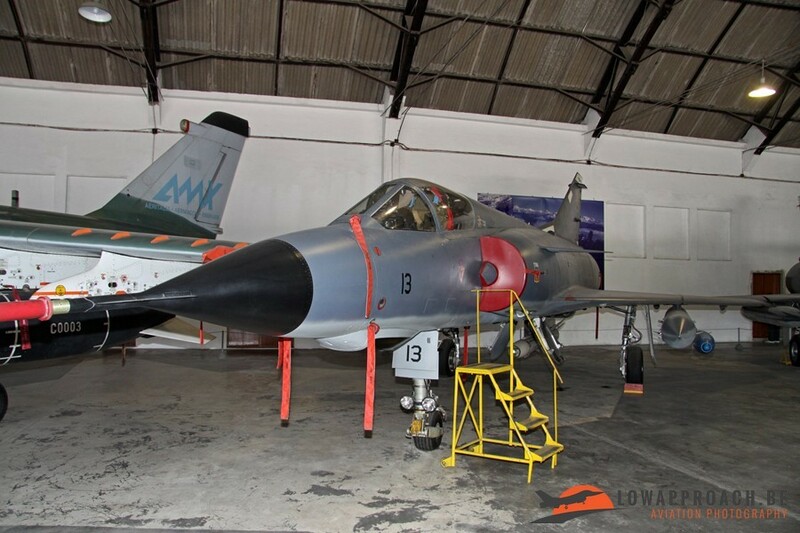 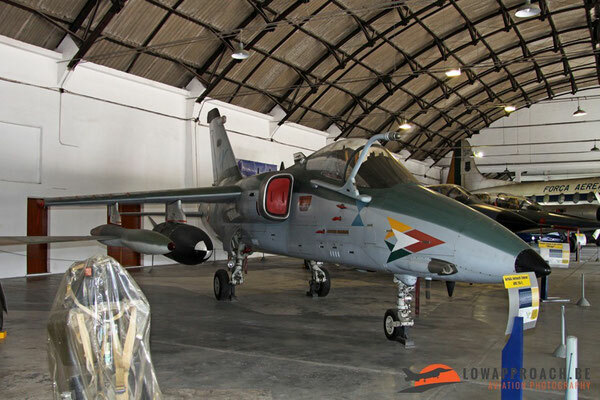 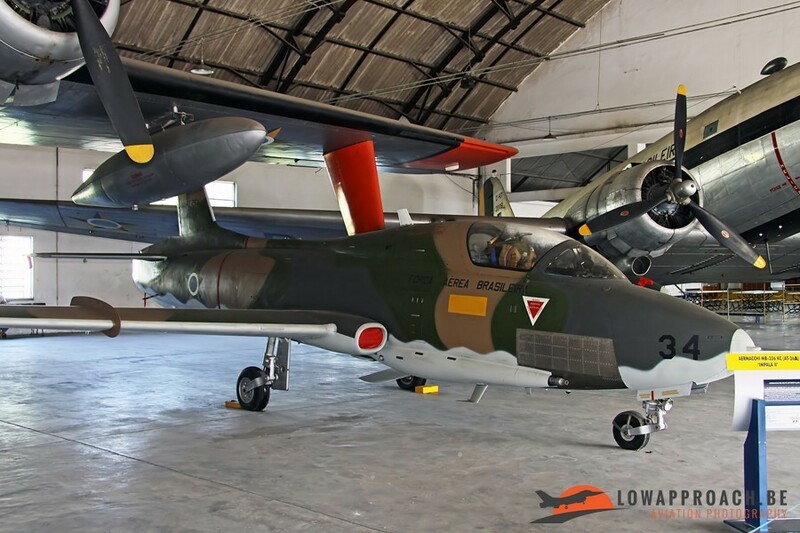 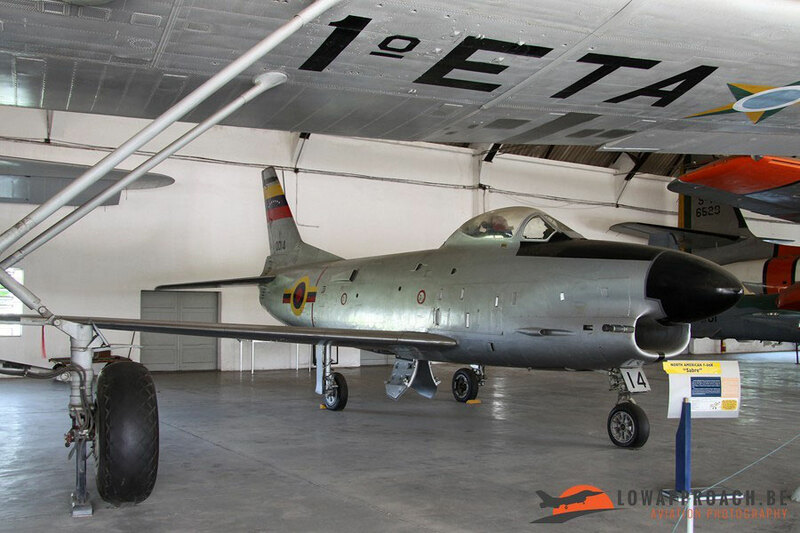 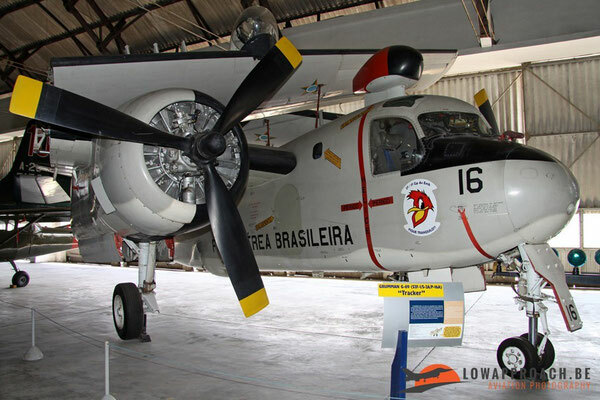 The museum has a collection of about 100 aircraft, which virtually all have a link with the Brazilian military or civil aviation history. Only a couple of aircraft are non-Brazilian, a North American F86K Sabre from Venezuela and a Aeritalia-Lockheed F104S Starfighter from Italy. 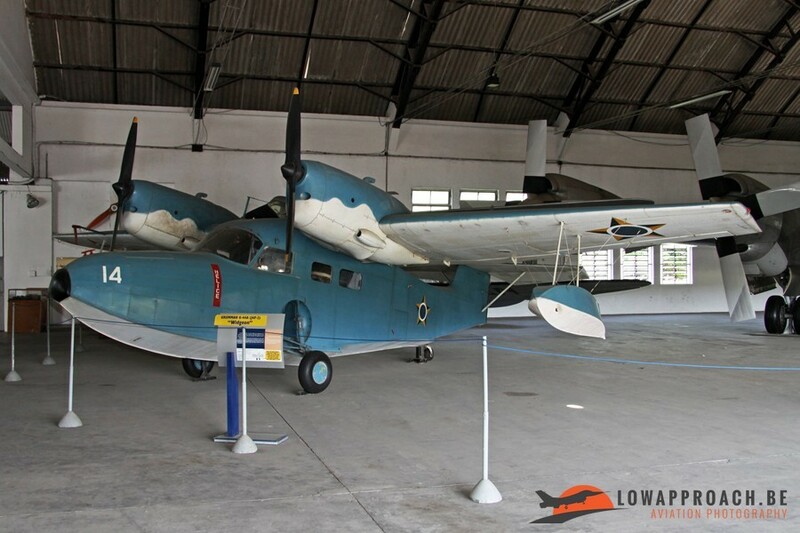 The collection is set up chronologically and the first building has a number of pre-WWII aircraft on show. 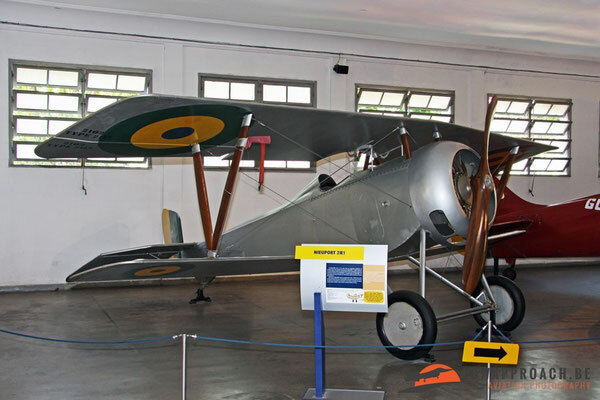 Off course attention is given to Alberto Santos-Dumont, Brazilian born aviation pioneer, who in 1906 made the first verified heavier-than-air motorized flight in France on board the 14bis. 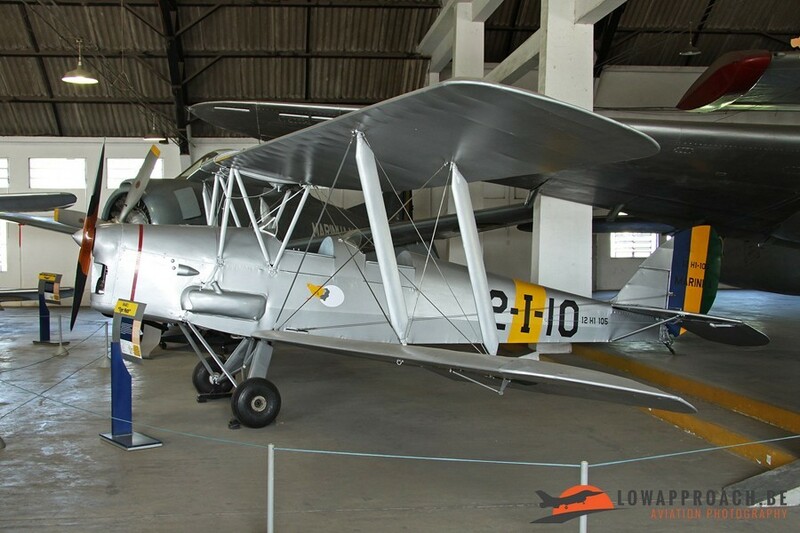 A replica of this aircraft is on show. 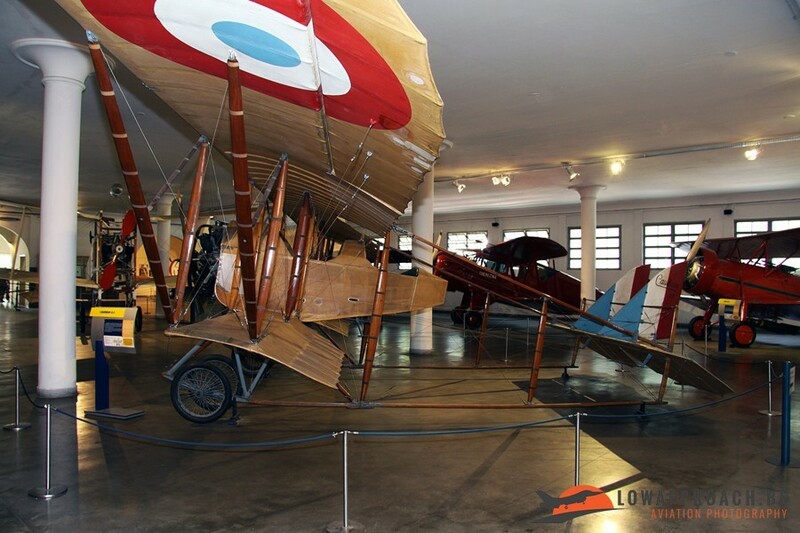 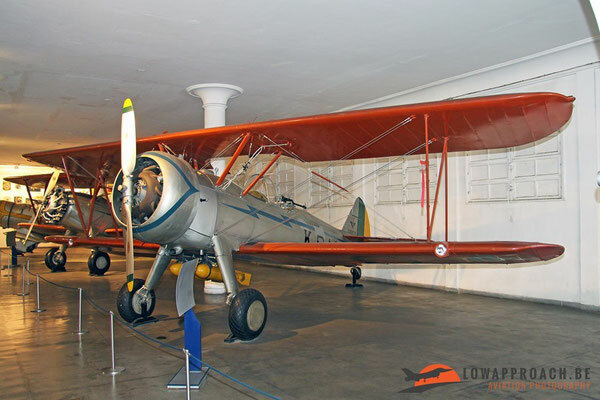 The early days of military aviation are illustrated by a Caudron G.III (restored by the Jean Salis at La Ferté-Alais in France), Nieuport 21 and a series of Waco aircraft that were used by the aerial post service operated by the armed forces. 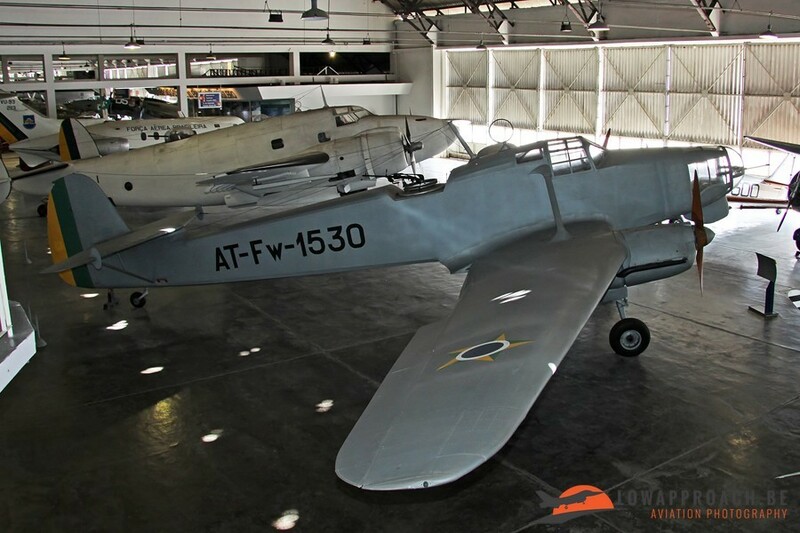 One of the star exhibits is the unique Focke-Wulf Fw58B-2 ‘Weihe’. 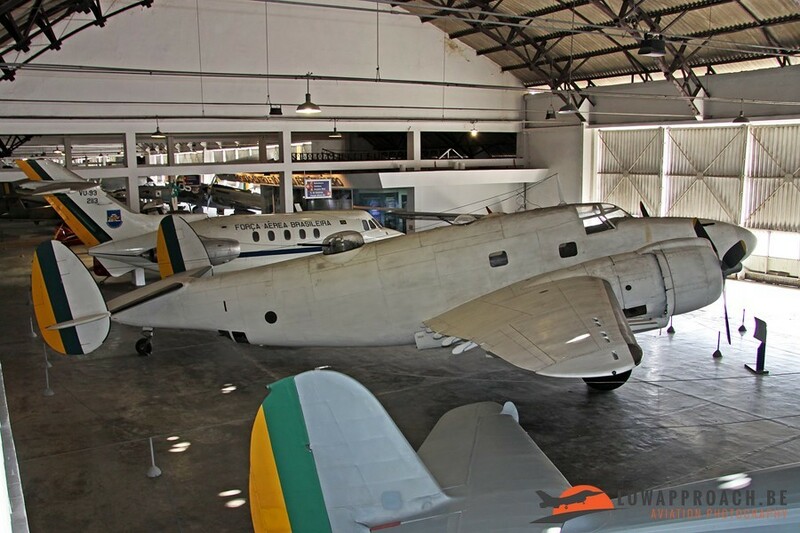 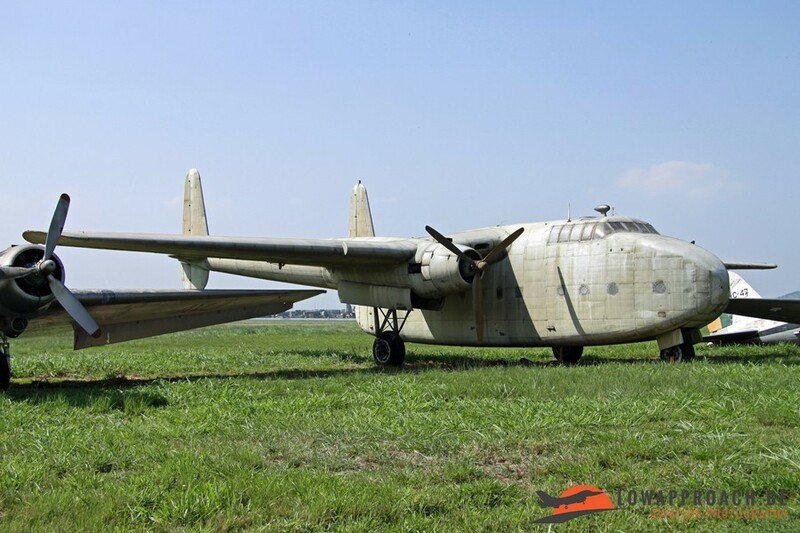 First flown in 1935 in Germany, 25 were build under licence and it was mainly used for maritime patrol in Brasil. 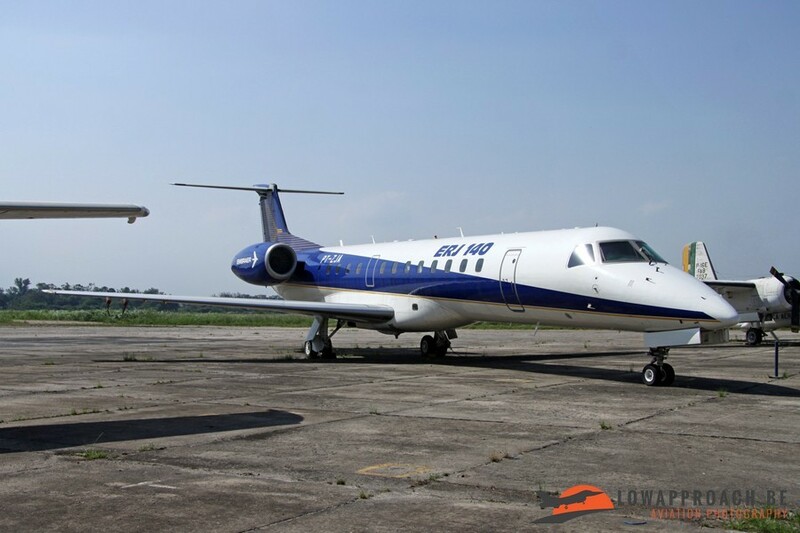 This aircraft is only aircraft of this type on display in the world. 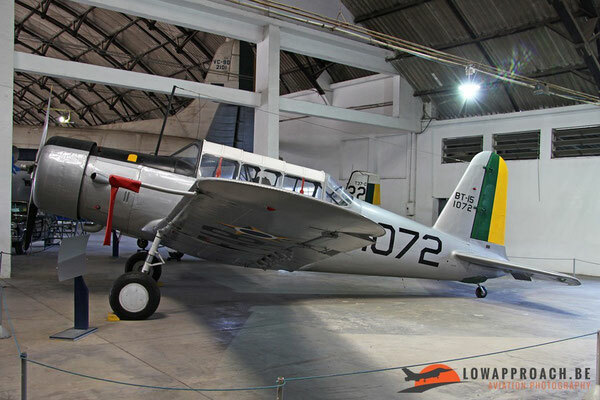 In 1941 the ‘modern’ Brazilian Air Force was created and equipped with mainly US made hardware, some of which are still in running order. 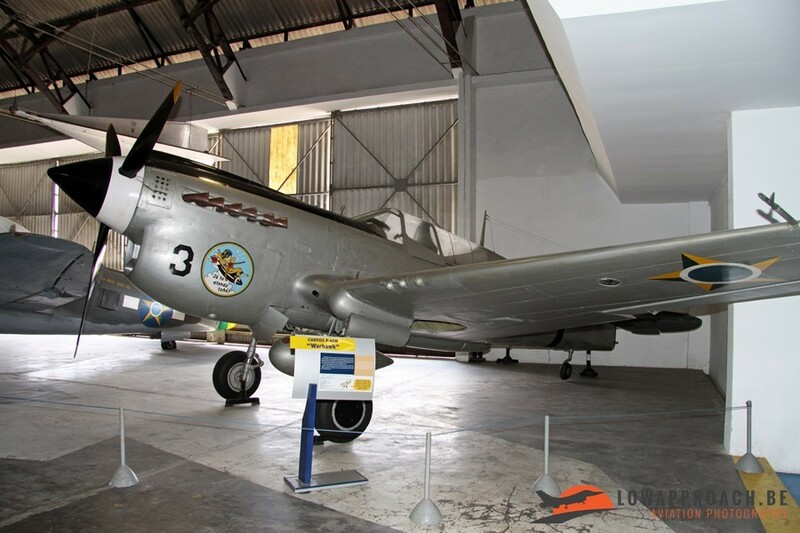 The engine of the Republic P47 Thunderbolt is started on regular occasions. 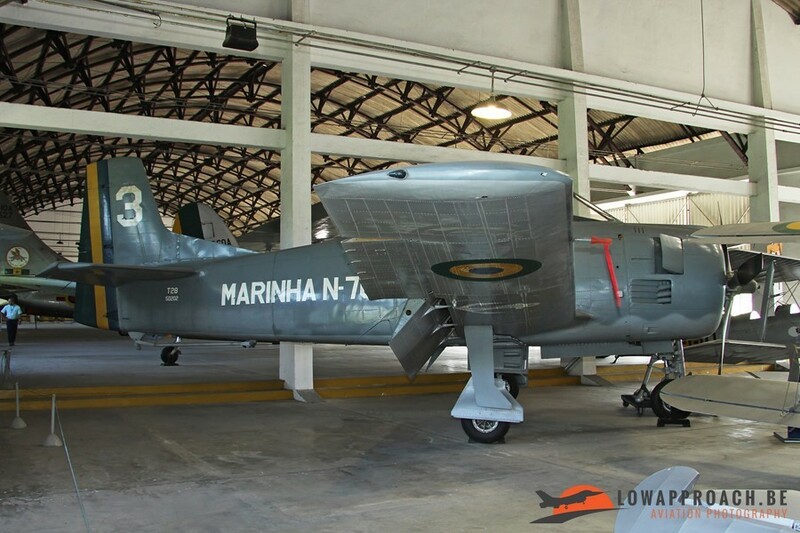 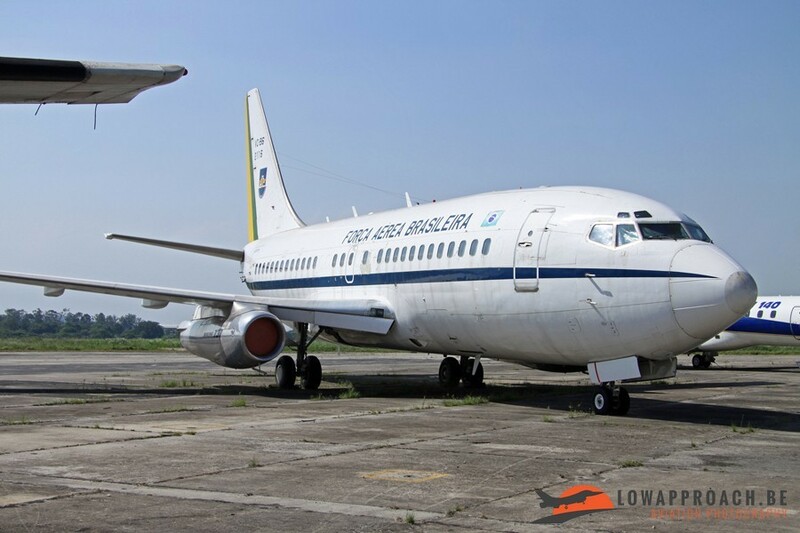 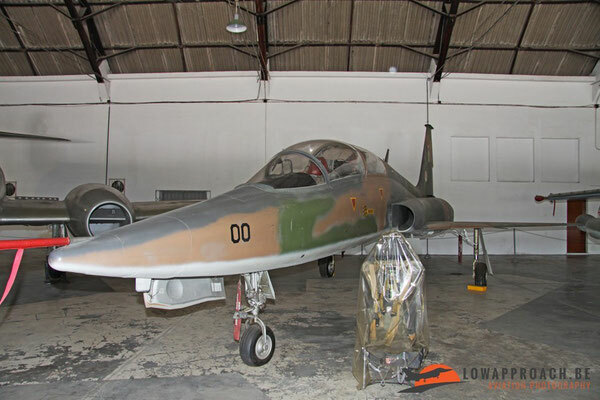 After the Second World War the Brazilian Air Force also entered the Jet age, and was equipped with aircraft from the United Kingdom, France and the United States. 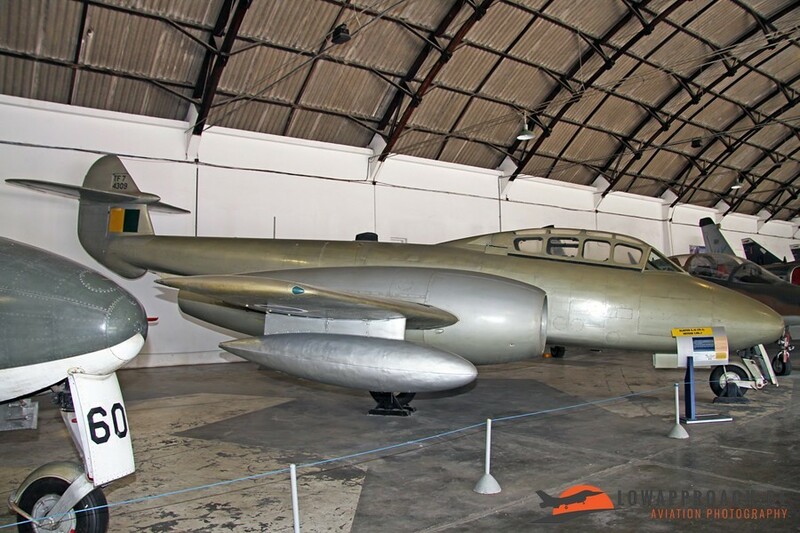 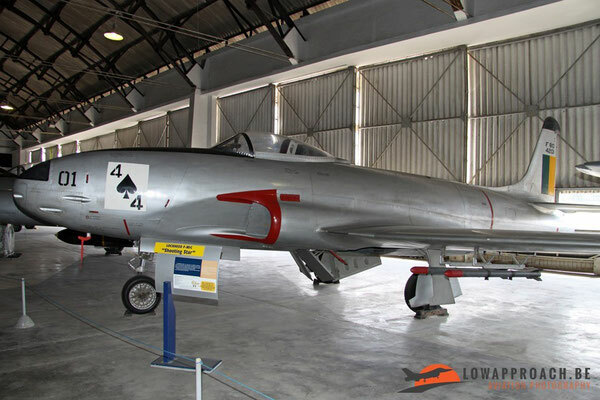 The United Kingdom supplied a number of Gloster Meteors in various types, the United States delivered the Lockheed P80C (single-seat variant of the Lockheed T33) and France a number of training and liaison aircraft. 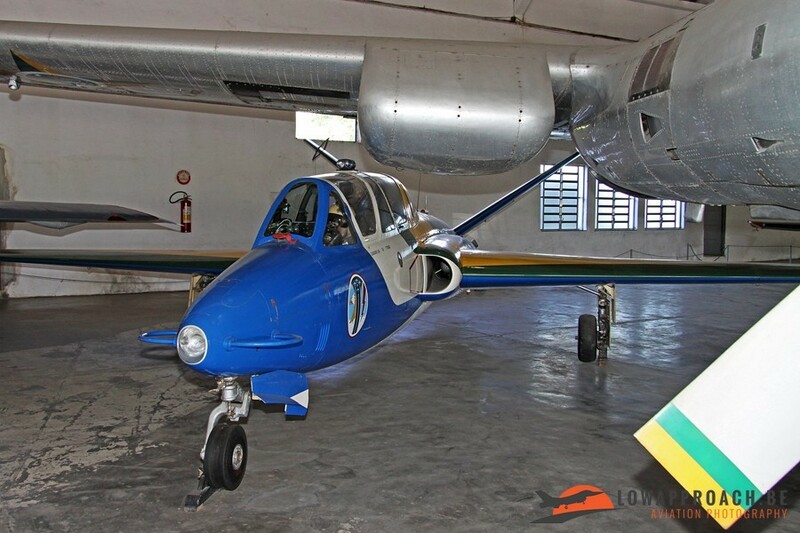 The FAB Aerial demonstration team, Patrulla Fumaca, was also re-equipped with a small number of Fouga CM170 Magister aircraft. The first generation jet fighters were replaced in the sixties and seventies by American and French aircraft. 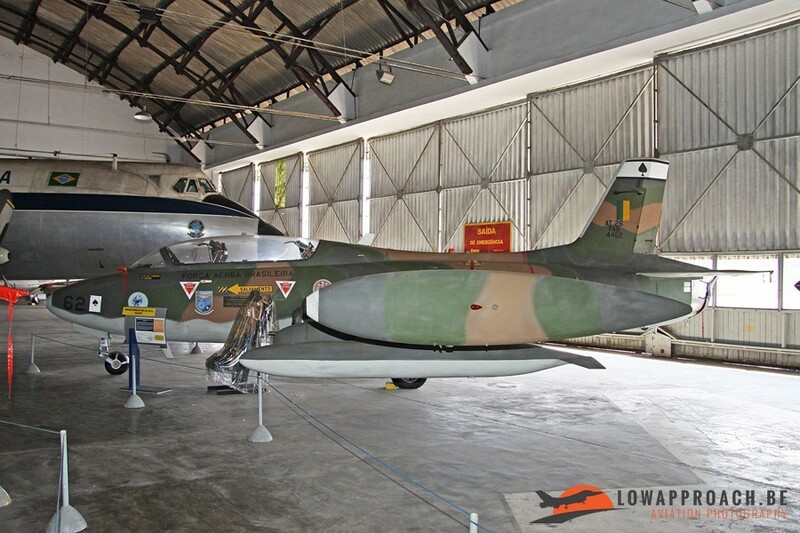 The US supplied the Northrop F5 Freedom Fighter and France the Dassault Mirage III in various variants. 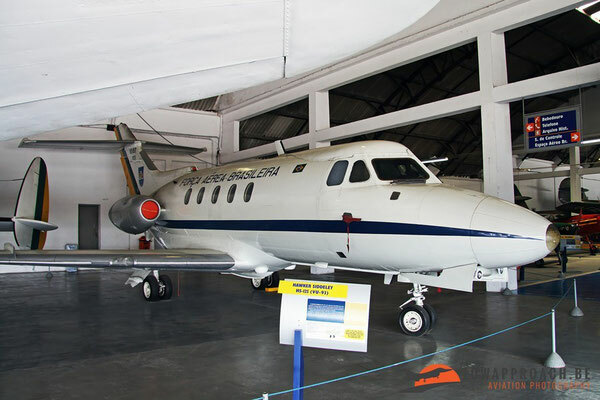 Great Britain was limited to the supply of some transport aircraft like the HS748 and the HS125. 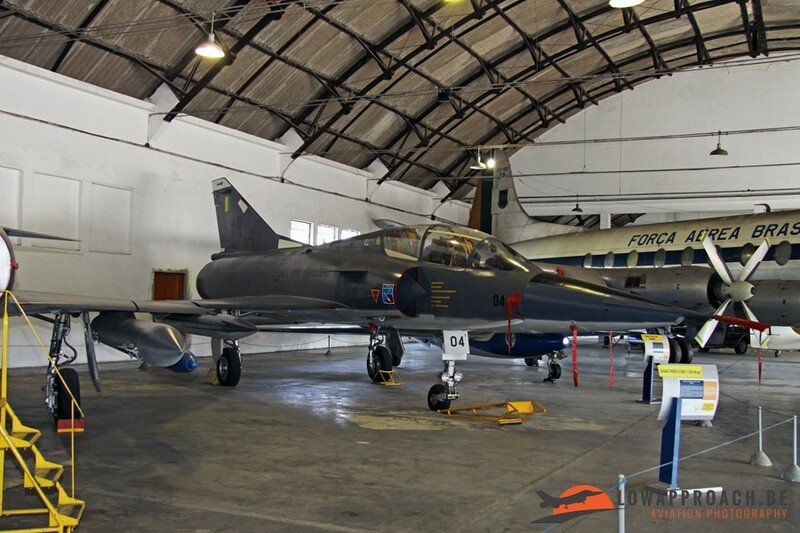 The Mirage III was replaced by a number of second-hand (ex Armée de l’Air) Mirage 2000 from 2006 onwards, but in December 2013 these were taken out of service. One example was already at the museum being prepared for display. 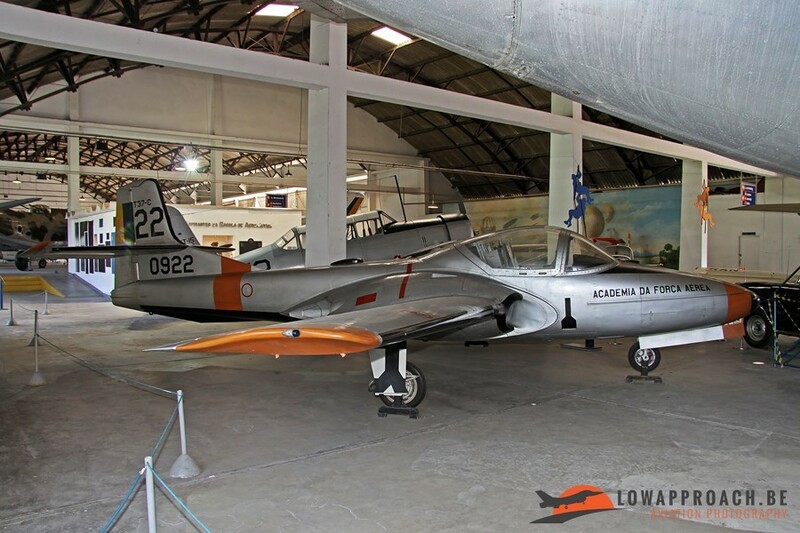 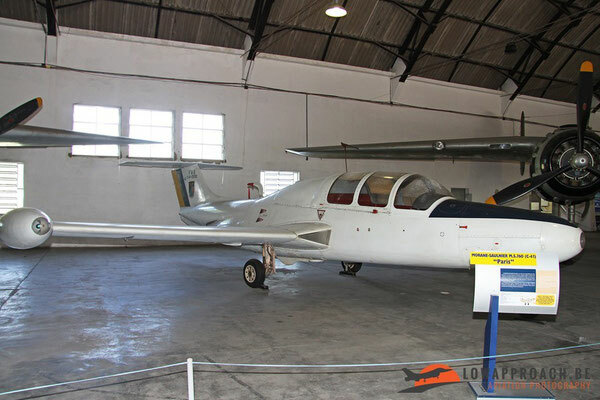 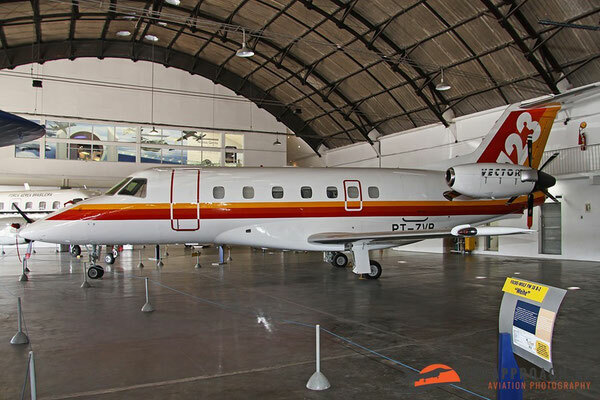 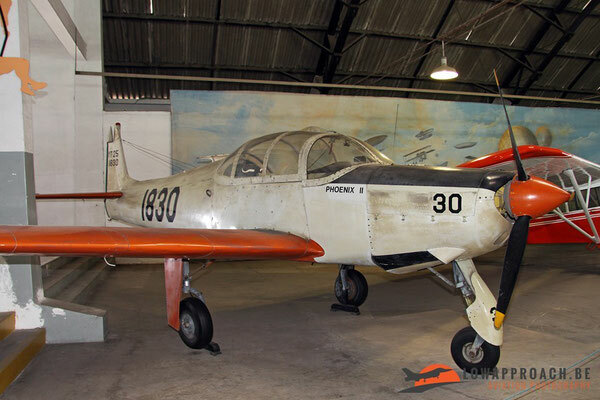 factories worked together with other aircraft manufacturers, like for example the Italian Aermacchi with whom they developed the Embraer AT26 Xavanta (MB326) training aircraft and the Embraer AT26A single-seater variant. 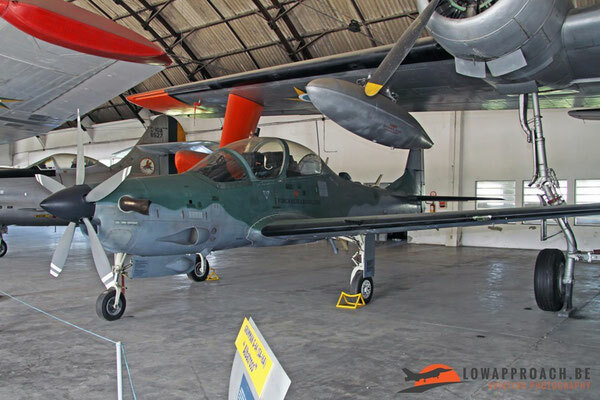 In later years Embraer worked together with Aermacchi on the development of the AMX, the Brazilian prototype is also on display. 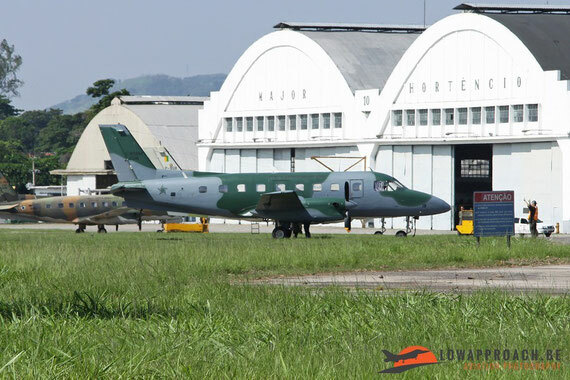 In later years 100% Brazilian aircraft were developed by Embraer, which are now being sold worldwide. The importance of Embraer (and a number of smaller manufacturers like Neive) is certainly not forgotten in the museum. 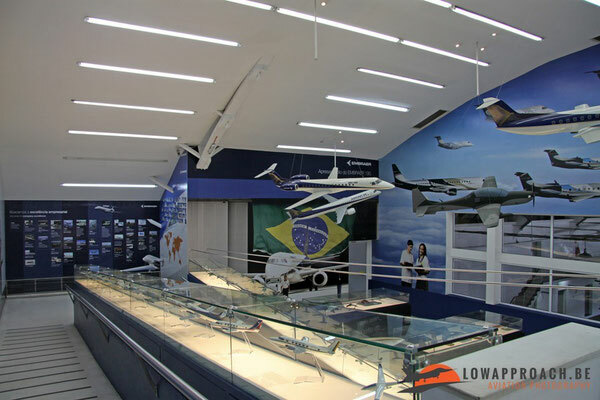 One room is dedicated to Embraer and several prototypes are also on show, for example the one of the Embraer Emb140 and the Super Tucano. Although officially the museum is dedicated to the Brazilian Air Force, also the colleagues of the Navy are not forgotten. A small number of historic aircraft are on show. Travelling to the museum was quite an expedition. 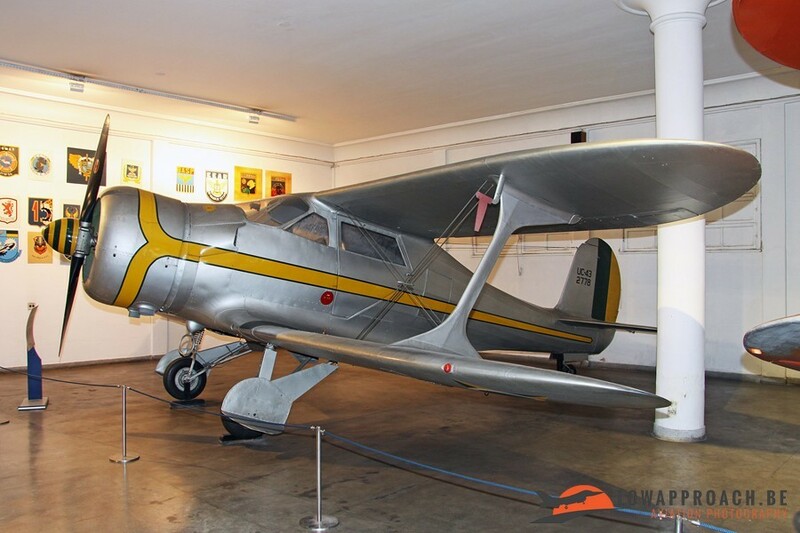 I had booked a hotel about 20 kilometers from the museum, which normally can be done by taxi, but my colleagues advised against this, as apparently the Rio taxi drivers are not very reliable. 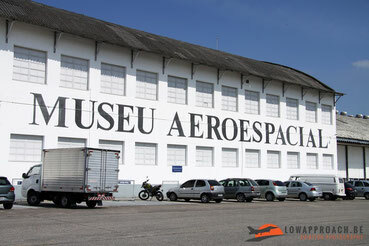 So they arranged a ‘personal’ driver for me, who took me to the museum, unfortunately we didn’t have a GPS, but in Brazil everybody is everybody’s ‘amigo’, so after asking the correct directions a few times we finally made it. quite surprised to hear where I came from as they didn’t get a lot visitors from abroad. 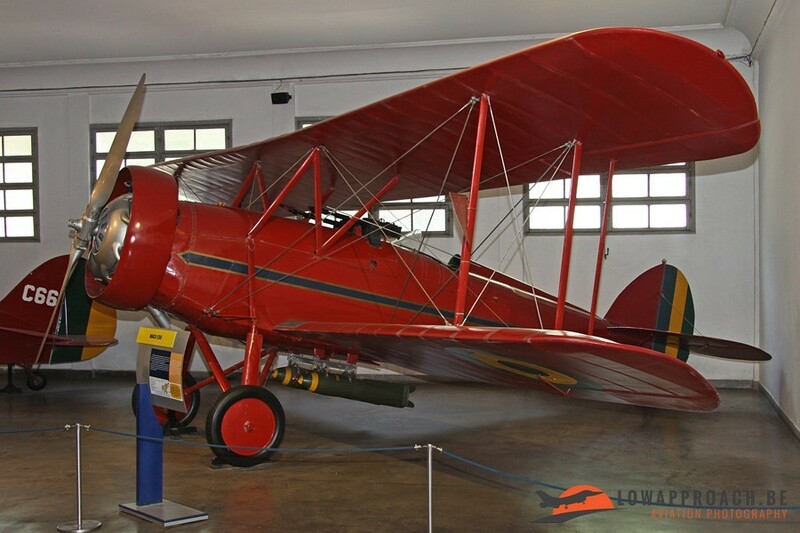 A few minutes later he presented me with a nice catalog of the museum and his business card, which I had to show to the other museum staff if I needed some assistance. In all a very unique visit to a very unique place, which has a unique collection. A visit that I will remember for many years !